Following the attack in Westminster this week I've been thinking a lot about the phenomenon of terrorism, both global and domestic - if you can even draw a distinction in many instances. The arrest of a number of suspects in London and Birmingham last night suggests to me this attacker was not necessarily a self-radicalised "lone wolf" like the Tsarnaev brothers responsible for the Boston Marathon bombing in 2013 or the shooters in San Bernadino in 2015. This sounds more like a terror cell, which could be coordinated or funded from abroad. Now cards on the table, this is all speculation; it's way too early to tell how this one unfolded. But it is thought provoking. It's no coincidence that the struggle against terrorism is often referred to as "the long war". The Palestinian/Israeli conflict is now decades old, the IRA fight against British rule in Northern Ireland spanned almost half the 20th Century, George W Bush's War on Terrorism is now entering its 16th year. As risk managers we tend to think of the risk of terrorism as something that can be reduced and mitigated through better site safety procedures, more anti-crash barriers, better policing, employee crisis training, specialist political risk coverage from the insurance markets, etc. But at its heart terrorism is a different kind of risk. It's one that has the power to be eliminated; and as this week has proved it won't be through spending billions on security or through screening out threats in immigration. Someone born in the UK, driving a personal vehicle and with an everyday weapon, can still cause damage in the supposedly safest part in London. Reducing and removing the risk of terrorism requires a serious re-assessment of our relationship, as a government, as corporations, as individuals, with the sources of frustration and radicalisation. How we interact with different societies, cultures, power centres and economies lies behind terrorism - it's not a simple answer. In an increasingly globalised world it's important that we as risk managers, those with the power to help influence major centres of power and wealth - are alert to the ramifications of the way we live and work for the rest of the planet and what contribution we make to alienation, poverty, or repression. In the 21st century, risk management demands we all have a foreign policy. 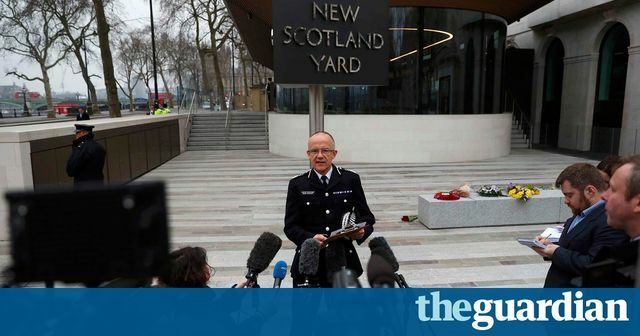 “Significant” arrests were made overnight linked to the terrorist attack in Westminster as detectives sought to establish whether the killer was part of a wider conspiracy.